With thunderstorm season upon us, stump grinding services will soon see an uptick in calls about fallen trees. If some trees on your property have ever come down in a storm, you might have had trouble finding a trustworthy company to come out and remove them. A lot of companies will take down the tree and haul it away, but leave the stump sitting there. You may not mind that beetles and termites are chowing down on the stump in the middle of your yard. But when that’s gone, they could make their way toward your house. Better to get the stump removed and not take any chances. Stumps are hard to work around. Whether you’re maneuvering your lawn mower around a stump in your yard, or driving trucks or equipment over stumps on your property, stumps are a pain. Driving anything over them can cause damage to whatever equipment you’re operating. Instead of breaking your equipment, why not just get that stump taken out? 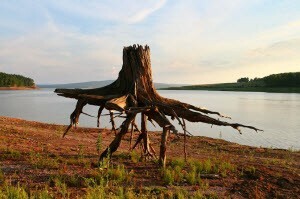 Stumps are unattractive and take up space. 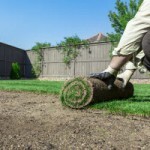 If the stump is in your lawn, it becomes an eyesore. And if numerous baby trees sprout up around the stump, it can get really ugly. All of that unsightliness can be avoided by having the stump removed. Stump grinding shouldn’t cost extra. When you hire a company to cut down a tree on your property, you’ll know you got a good one when they offer to grind the stump for free. That added service might seem like no big deal at first. But you will be glad you had it done, and it definitely sets the best tree removal services apart from the rest. Pest control companies love to see tree stumps in people’s yards. You know why? Because they know the wood sitting there, rotting, close to the house is going to create more business for them someday. So you need to ask yourself: would you rather have an exterminator get rid of your termites someday, or hire stump grinding services today and avoid an infestation of your house? Su-Tree offers full-service tree removal services, and that includes stump grinding. At whatever level you need trees, stumps, and brush removed, our experienced crews will not stop until you are completely satisfied. We promise to offer free stump removal anytime you hire us to cut down a tree for you. Call Su-Tree at (404) 392-6935 for a free estimate on stump grinding services.